I'm new to Arastta and for some reason I'm unable to upload my excel sheet with products. 2015-10-06 10:57:21 - Export/Import: Missing product_ids in worksheet 'Products'! 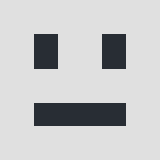 2015-10-06 10:57:57 - Export/Import: Missing product_ids in worksheet 'Products'! So before I deleted all products, I've tried export and copy all items as per export sheet but also did not work. Can you assist in this please? Wick, can you please try LibreOffice or OpenOffice because I'm reading that MS Excel has an incompatibility with the PHPExcel library used by Arastta to read XLS files. Can you please upload the sheet here with a product as example? Don't forget to ZIP it first. I must add, I have deleted the products and not sure how this will affect the product ID's as I see the ID's cannot be used again? The program you've been using seems to not set those as number but text, see the attached error. You should convert them to numbers. I have change that to general and still not working? See copy of file attached. So I know this post is old however I recently started with Arastta. Great software by the way... and imported an excel products.xlsx spreadsheet using the Export / Import feature in Arastta and also received the same error message: "error: Missing product_id". To solve this issue you simply delete all the empty rows after the last product_id in your spreadsheet. For verbosity you select the empty rows after the last product_id field and drag down, then right click the rows and delete. If you use google spreadsheets this works really well as you can set the number of rows.